Pip Wilson bhp: We all have an UPSTREAM - Blob Tree Materials here + my reflections on my UPSTREAM. 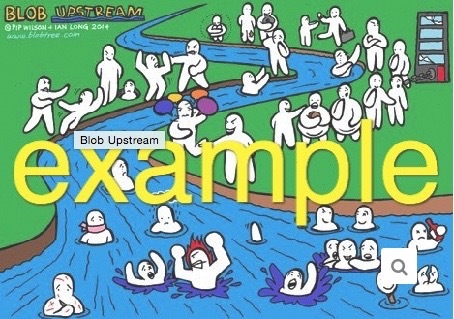 We all have an UPSTREAM - Blob Tree Materials here + my reflections on my UPSTREAM. have progressed into a climate of trust. usually some relaxing/fun stuff as well. to be in helping relationships with others. We all need to understand ourselves better. It is a perpetual journey. We never step into the same river twice. As we never step into the next day twice. AND we need to be in the flow in terms of our development. 1) When you was young, did members of your household communicate their emotions? When I was young my Father expressed them in outburst of temper. Anger rising in him like a flash. His leather belt was used on all his four sons. I didn’t discover feelings until I was 40. They exploded from me too. and start on the process of managing them - at 40! Start by talking to someone about the 1) question above. How did your family members cope with stress or pressure? How did the household handle the death of someone close? What was the experiences like? How did you react in times of tension? How did you fit in with all those around you? and in terms of learning and development. How we learned was in our family/household. Those around us learn from us. is what we are not saying. I am always pleased if someone writes to me about these things. Maybe you could do that? I believe it can be a special experience for you - and me.